Melora Jackson is the Training and Program Specialist for the southern half of Mississippi's Division of Alzheimer's Disease and Other Dementia, under the Department of Mental Health in Long Beach, Mississippi. Melora has a B.A. in Psychology from Whitworth University in Spokane, Washington and holds a Master of Science in Human Development and Family Studies with a Gerontology emphasis from Colorado State University. She is a Certified Mental Health Therapist and a graduate of the Stennis Institute for Government at Mississippi State University. 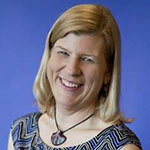 She is a certified facilitator for the Stanford University Chronic Disease Self-Management Program. Additionally, Ms. Jackson is a Certified Trainer of the Virtual Dementia Tour(R) with Second Wind Dreams(R). Ms. Jackson was the Director of Senior Services and Director of Community Services for a non-profit agency in Portland, Oregon called Friendly House, Inc. She has 26 years experience working with vulnerable populations, older adults and persons with dementia. Melora Jackson has written and presented on countless aging and dementia topics, as well many other topics and issues throughout her career. In 2011 she was nominated for the MS Coast Women of Achievement award. Ms. Jackson has served as President of the former South MS Alzheimer's Association, President of the Alzheimer's Foundation of the South in MS, and as a member of the governing board of NorthShore(R) Psychiatric Hospital in Slidell, Louisiana. She also serves as an advisory council member to the Southern Mississippi Area Agency on Aging, the President-Elect for the Mississippi Conference on Social Welfare, and serves on the board of the Mississippi Gerontological Society.